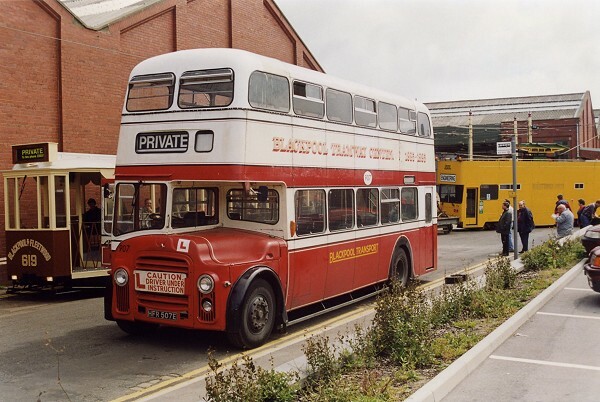 Blackpool PD3A/Metro Cammell "Orion" 506 (HFR506E) taken outside the depot on 12th September 1983. 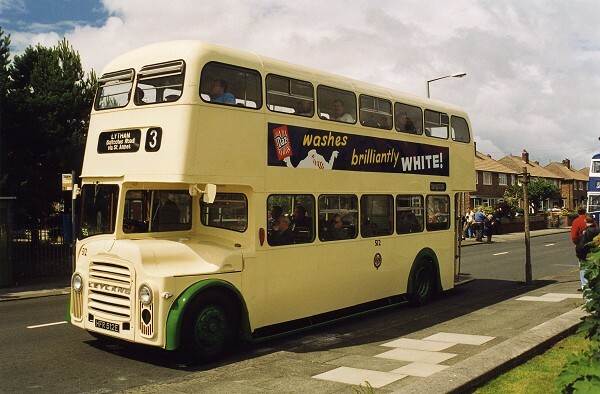 This picture taken in Lytham St. Annes on Monday 13 July 1998 shows fleet number 512 (HFR 512E) taking part in the 'Lytham Buses Antiques Roadshow' during the 'Blackpool & Fleetwood Tramroad Centenary week'. 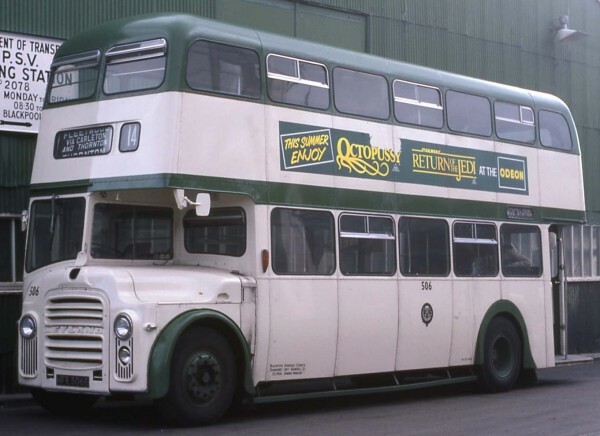 This is the actual vehicle represented by Corgi OOC as model number 41202. 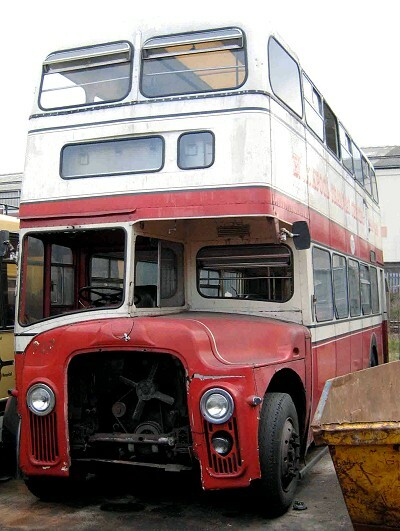 This photograph taken on 28 February 2004 at Stratford Blue's garage shows a rather forlorn looking fleet number 907 (HFR 507E) see photograph 1 above. 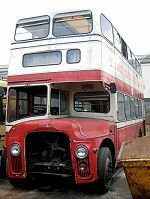 The centenary livery can be seen, though without radiator cowl it provides a stark contrast with the photograph 1 which was taken in 1998. This is the actual vehicle represented by Corgi OOC model 41103.